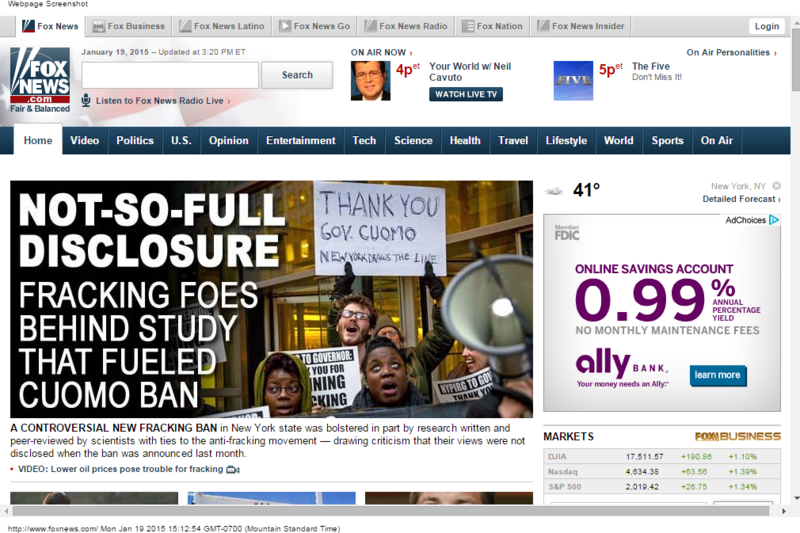 National news coverage of New York “ban fracking” activists subverting the peer-review process to get shale gas development banned has gotten under their skin. Energy industry opponents are lashing out at Energy In Depth for exposing the role of “ban fracking” activists in creating research used by the Cuomo administration to justify New York’s ban on shale gas development. The Public Accountability Initiative (PAI) – funded by the anti-drilling Park Foundation, along with many other “ban fracking” groups – criticized EID this week claiming that we host “industry-friendly fracking studies” on our website. The political attack comes just weeks after EID revealed that a research paper touted as peer-reviewed science – and used to justify New York’s ban on shale gas development – was actually written and peer-reviewed by active opponents of shale gas development. The authors and reviewers, including leading New York anti-fracking activist Sandra Steingraber, concealed their bias from the scientific community and the general public, in violation of at least four different codes for scientific research. When asked about these conflicts by FoxNews.com, Steingraber denied there was anything inappropriate about producing oil and gas research used by the Cuomo administration while she was actively lobbying the administration to ban oil and gas development. A few days after claiming to be “absolutely objective,” Steingraber later gave a victory speech at an anti-fracking party in Albany, N.Y., after Gov. Cuomo’s State of the State address. Other anti-fracking research that made it into the New York health review has been similarly criticized for its lack of adherence to traditional scientific principles. In one high-profile case, a report that had not yet been peer-reviewed was distributed to New York media outlets by a PR firm that was being paid by New Yorkers Against Fracking. New York Times journalist Andrew Revkin wrote about how several prominent scientists criticized the researcher’s study, particularly her decision to promote the findings before they had been adequately reviewed. Sandra Steingraber later defended the scientifically dubious process that allowed the non-peer-reviewed paper to be promoted in the media. For its own “report,” PAI singles out only four studies that EID has used in the past and then takes the liberty of making blanket statements like “most of the studies” EID uses have “an industry connection.” One of the studies it attacks is actually a 2011 report published by the MIT Energy Initiative and co-authored by Ernest Moniz, who is now the U.S. Secretary of Energy. Another study PAI claims has “industry connection” is a study from the National Research Council, part of the prestigious National Academy of Sciences. In addition, PAI suggests that conclusions from the U.S. Environmental Protection Agency, the Department of the Interior, the Department of Energy, the National Academy of Sciences, and even the president himself are all incorrect because they have some sort of “industry” connection. PAI says that its mission is to expose “major conflicts of interest” and uncover “massive boondoggles.” But the organization’s decision to attack EID for highlighting mainstream research on hydraulic fracturing suggests the organization is more interested in trying to instill doubt about scientific concepts that the “ban fracking” movement finds inconvenient than it is in exposing real conflicts of interest.